Here are some ways to add Medicinal Herbs and spices to your diet. Tincturing and preparing your own personal herbal formulas are simple and affective. If you are unsure of which herbal combination's are right for you, just email HappyHerbalist@me.com with your questions and concerns. Brew your kombucha as normal plus another 8 days or until very very sour. then strain and filter into a mason jar. Test the pH. We want the pH to be 4.0 as measured by a pH meter. Drink 8 ounces daily for one week. Discard unused portion after one month. By itself Kombucha Tea is a nice healthy drink. A little like apple-cider. There are literally hundreds of claims made everyday. However since each brew is individual and dependent upon a great many factors your results will vary. Most common claims are Increased Energy, Weight Loss or Gain, Better Sleep, Body Building Benefits, Reduced Stress, Relaxation and a general feeling of well being. Remember your results will vary...The Happy Herbalist will freshly powder herbs of your choice or you may select from the combination below. Common to all peoples are fermented products. Developed in all parts of the world to utilize foods from a time of plenty (harvest) to a time of shortage (winter) as were "dried" and other stored foods such as kombucha, sauerkraut, cheese, pickles, soy, kefir, tofu, etc.TCM developed pills or "wan" some 2,000 years ago to " extend the shelf life" of herbal formulas. Most of these are honey coated powdered herbs. 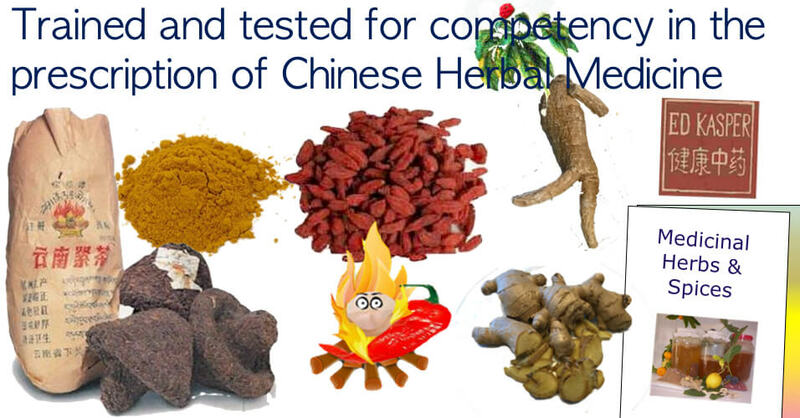 TCM also produces "drafts" - powdered herbs that mixed with a liquid such as water, vinegar, wine or alcohol. There are also TCM Medicinal Wines and Vinegars that preserved herbal formulas. As well as the use of stored dried herbs that are mixed fresh and formed into unique individual TCM prescription.Harald Tietze's and others points out that "scientifically" totally different results (after 14 days of fermentation with black tea) are achieved compared with results from brewing kombucha with herbal teas. This is consistent with TCM and popular opinion. That is - if one brews Kombucha using different "herbal" teas different results will be achieved. The benefit of which is unknown.What I suggest, follows TCM, is that "medicinal herbs" prescribed for a specific individual (not a broad category of disease) be added after the Kombucha (brewed with normal Black Tea) has "aged" 14 days or longer.The longer brewing time is mandatory to complete the sugar conversion and reduce the pH as low as possible.Any herbs that work within the TCM function of a vinegar: warming, breaks up stagnated Blood and Qi, increases circulation, may be added and their affects better understood and anticipated.1. freshly powder, cut up or break into small pieces your choice of herbs. the quantity and combination of herbs will depend upon presentation2. Place the Kombucha Vinegar and herbs in a pint or quart mason jar with lid. Better results are possible following typical canning procedure but are not necessary.3. Place in direct sunlight for 2 days4. Strain and drink.note: if you begin Saturday morning, Sunday would be the 2nd sunlight and Sunday at dusk would be the first dose. For chronic conditions allow an additional sunlight day.You may also use as a wash, bath or foot soak. As a rule; For acute conditions take 1/2 cup that evening and again just prior to bedtime, finishing the next day in 2 or 3 dosages. For chronic conditions take smaller doses over a longer period of time. 1). keep refrigerated and warm the dose prior to ingestion. 2). Do not use after 4 weeks from the first brewing date. 4). Over 20% alcohol (per volume) becomes destructive to the friendly Kombucha, as well as is treated as a different TCM mythology: Alcohol is HOT as vinegar is WARM and does not break up stasis as vinegar does. 5). Use Happy Herbalist's Pure Distilled Kombucha as a preservative. Our pure distilled kombucha contains all the water-soluble nutrients of regular Kombucha Tea except of course the live nutrients. Use your Medicinal Tea and Spices right in with your tea when brewing Kombucha Tea. Excerpted from Harald W. Tietz Kombucha The Miracle Fungus and Kombucha Tealogogy Over 1001 ways to Brew Kombucha for Best Flavor and Maximum Healing . General Rules: The amount of herbal tea used, should be twice that of common tea, i.e. approximately 10 grams per litre. (A heaped teaspoon of leaves is approximately 5 grams.) The first number in brackets represents the amount of herb and the /second number indicates the amount, or ratio of common tea (black or green tea) to be used. For example Cayenne is listed as (1/5) therefore one would use One Part (or teaspoon) of Cayenne to Five parts (or teaspoons) to Black tea. AIDS Kombucha fermented teas immune system supporting teas such as Echinacea are used. mixed with green tea for better fermentation. Menopause: Some women reported that they have started menstruating regularly since they started drinking Kombucha even when they had no menstruation for up to eight years. Other women reported that early in their menopause they menstruate regularly after using Kombucha. hot flashes drink one cup of sage in the evening. Additionally: According to Hippocrates, the father of modern medicine, the combination of vinegar and honey called Oxymel created the foundation for many medicinal herbal formulas as well.